If the outdoor speakers from last week was as normal looking as they’ll ever get, then this Wireless Indoor/Outdoor Speaker ($99) is quite the opposite. 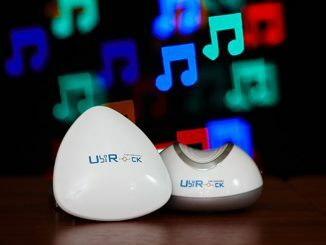 The wireless speaker is a versatile gadget allowing you to enjoy your music indoor and out, without the need for wires or extension cables. 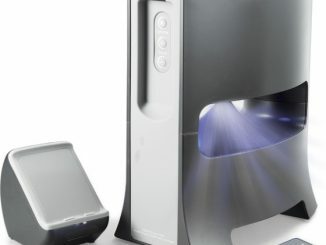 The speaker is charged from the mains and will give you music playback for up to 8hrs, which should last long enough for the longest of summer nights! 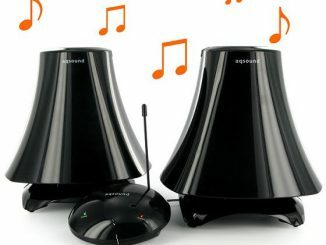 The speaker can also be used directly from the mains which would be suited more for indoor use. If you needed to use the speaker in a hurry and the battery is flat, you would simply use 5 AA batteries instead! It has an impressive 230ft range (70m) and comes with two bases depending on how you want to use it. 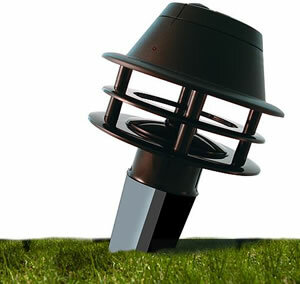 The flat stand is perfect for any hard surfaces where as the spike is ideal for grass or soil. The wireless speaker can be used with any MP3 player that has a standard earphone socket and there are two transmission channels, ensuring you get the clearest signal. 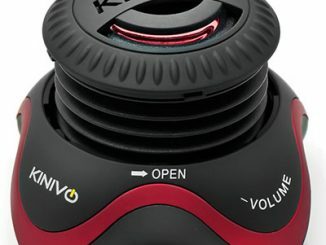 Additional speakers can all use the same transmitter and there is the ability to change the audio channel from mono to left or right (stereo). This stylish (and maybe somewhat Xbox-ish?) 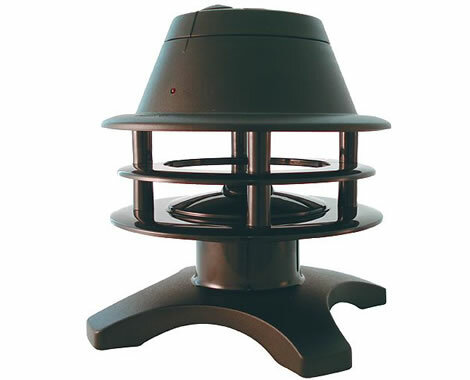 speaker system can be used both indoor and outdoor, and it is capable of delivering a “big sound” from up to 150 feet away using a 2.4GHz wireless link. 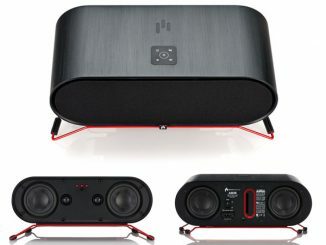 Simply connect your MP3 player, CD player or other audio device to the transmitter for this wireless speaker, and you will be able to broadcast the music up to 100 feet away using no cables whatsoever. Remember that Rock-Shaped Outdoor Speaker from Klipsch? Audio Unlimited has just announced a similar wireless model with a 150 feet range. If you want to connect your existing audio devices to a pair of wireless speakers, the MP3 Tower from yesterday won’t be able to do the trick. These black splash-proof stereo loudspeakers will be up for the task tough. 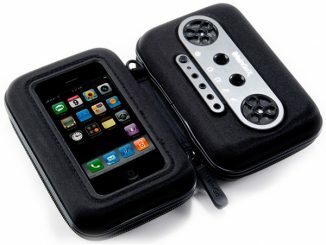 Want to bring your favorite music into the pool without having to strap a waterproof MP3 player around your head? 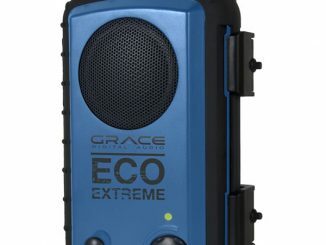 Try this weatherproof speaker. For those who want to bring a speaker into the pool, here’s a shiny white alternative to that Weatherproof Floating Wireless Speaker we covered a couple of weeks ago.